Do you want to plant seedlings or sow seeds or harvest vegetables or herbs? 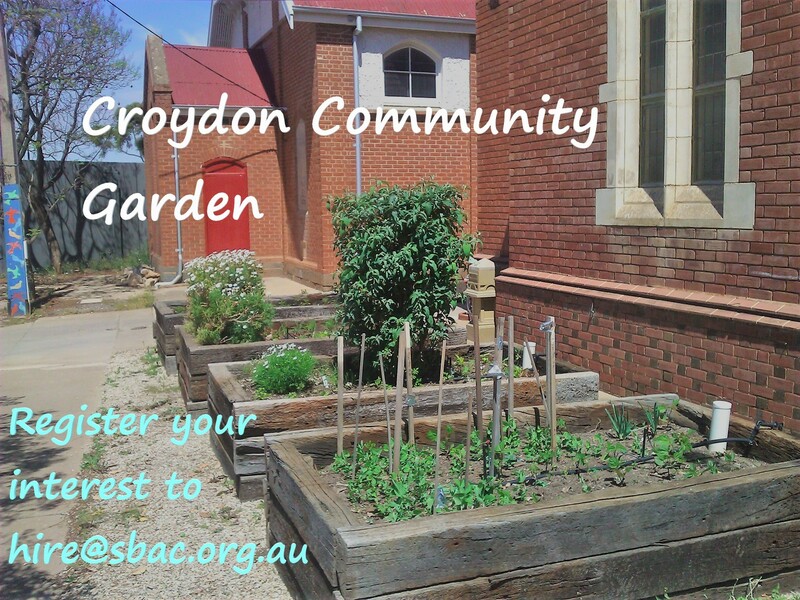 Come to Croydon Community Garden. You can come anytime but there are occasional Saturdays that work happens on the garden from 4pm. Various equipment and seeds are available to use. If you are interested in watering the garden then contact Henry. Let Henry know if you want to get involved on hire@sbac.org.au or call: 0439 085 408.